BUSINESS SELECTTM PACK™. For 12 mos. w/24-mo. agmt. after autopay discount. $66.99 in months 14-25 (subject to change). **After 3 mos., services automatically continue at then-prevailing rate (currently $37.99/mo.) unless changed/canceled. 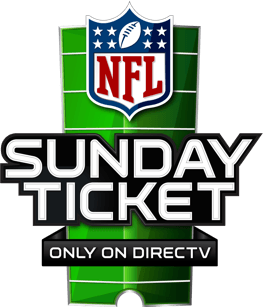 † NFL SUNDAY TICKET subscription renews automatically each season at then prevailing rate (currently $585/ Business Viewing; and $475/Private Viewing) unless canceled or changed by customer prior to the start of the season. *ALL DIRECTV OFFERS REQUIRE 24-MO TV AGREEMENT. EARLY CANCELLATION FEE OF UP TO $20/MO. FOR EACH MONTH REMAINING ON AGMT. ADD’L FEES APPLY. Price is after a $10/mo. Auto Bill Pay discount for 24 mos.New approved commercial customers only. Credit card req’d (except MA & PA). Pricing based on Estimated Viewing Occupancy (EVO) for select packages. Regional Sports Network fee (RSN) applies in certain markets. Answer a few questions to get your FREE quote. By clicking 'Get a Quote' you consent for directvplans.com and partners to use automated technology, including pre-recorded messages, cell phones and texts, to contact you at the number provided above regarding business services. This includes if the number is currently on any Do Not Call Lists. You are not required to provide this consent to make a purchase from us. Thanks for your interest in DIRECTV FOR BUSINESS℠. One of our account specialists will get in touch with you shortly. Thanks for Contacting Us. An agent will reach out at the beginning of the next business day. Draw fans in with sports channels in your bar or restaurant. Entertain customers in lobbies and waiting rooms. Go the extra mile to make customers feel valued. For offices, shops & services: Get 2018 NFL SUNDAY TICKET included with specific packages at no extra cost. ***With DIRECTV and NFL SUNDAY TICKET subscription. Select int’l games excluded. Control every TV with a tap. Turn your restaurant, bar, cafe, or coffee shop into a popular neighborhood hangout with DIRECTV for BUSINESS℠. Customers will stay longer and return often if they know they can catch the game or enjoy their favorite shows and movies at your business. Upgrade your office with DIRECTV entertainment options in break rooms, conference rooms, and other office spaces. Boost morale and create a positive work environment for you and your employees by providing news, music, entertainment, and sports in your office. Get the app from Google Play or the App Store and start streaming today. Let your guests, patients, and residents feel at home with their favorite DIRECTV shows, movies, and sports programming. DIRECTV for BUSINESS℠ offers simple, in-room entertainment solutions for hotels, hospitals, dorms, or senior living facilities.